Finally pull some pieces from my fall wardrobe. I have waited so long to wear my new Rachel Zoe vest. to be a great alternative. worked perfectly for our date night. (they even brought them back this year). It is a shorter vest... thus works with flats as well. but with some flats for some shopping. which I think will transition perfectly for this evening's hostessing. who are in town this weekend. is the marvelous connections we can all make. Oh my goodness, Tamera, I love this outfit so much and am not surprised to find out it is a Rachel Zoe Vest. I love the vest and the necklace and two bracelets...it looks amazing. We have 90 degree weather today...such a bummer. Here's wishing you cooler temps this week! You look so fabulous my dear friend! 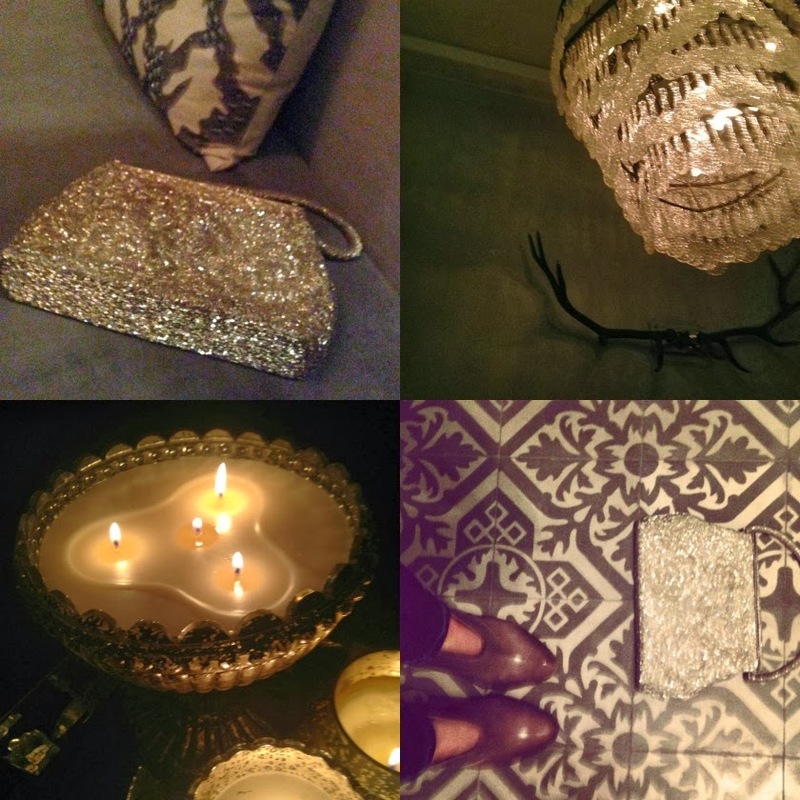 I've been out of town-with blogger fun- and am just catching up with my fave blogs. The blogger who will be hosted at your house, as I have been recently, will be a lucky lady. Can't wait to hear more. Love the RZ vest by the way! Hi there! 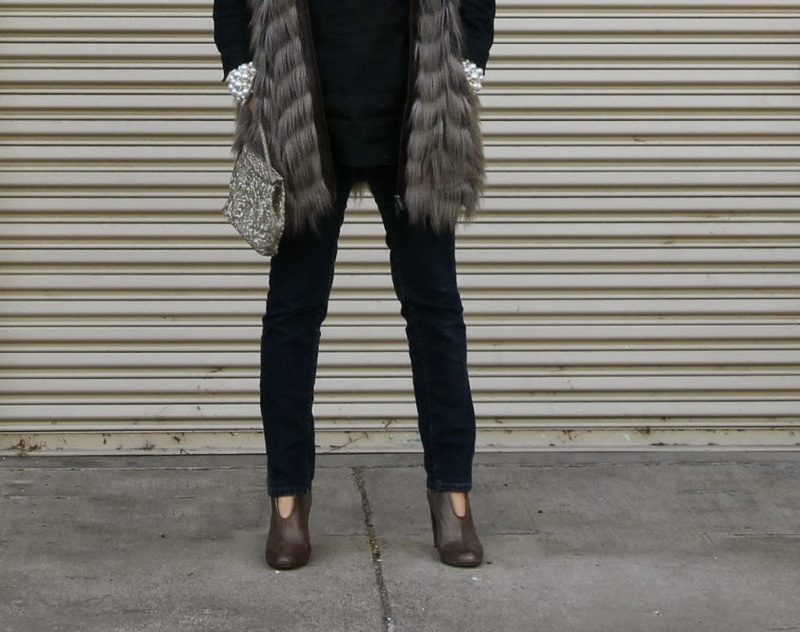 I just found your blog via Patti for Visible Monday- I really love your outfit and your vest is totally gorgeous too! Have a great week! Oh, my.. your pairings are so so luxurious! I hope to own some coats like those one day.. This is A BRILLIANT BRILLIANT OUTFIT !!! Love the fur, love the slipper-esque shoes, love the sunglasses and the lipstick. LOVE IT ALL!!!! I am a big fan of furry vests and have a couple that I can't wait to wear when it gets cold. You look sooo elegant in yours, with your oversized pearls and sun glasses - very Glam! Yes! I LOVE a good, full-on wintry vest for fall in a mild climate! Perfection. As always. Our weather seems like the opposite of yours this month. May we both have plenty of vest weather soon! Clearly I need more fur in my life!